Water movement in the aquarium helps maintain a healthy habit in a number of ways. Whether you are setting up a new aquarium, updating an established tank, or trying to solve a nagging problem, it's always wise to review the water movement to be sure it's meeting the needs of your fish. Another key benefit of good water movement is maintaining even water temperature. If there is little or no water movement, zones of warm and cold water will quickly arise. Circulating the water will prevent temperature layering from occurring. Using small powerheads in different locations, or spray bars will go long ways towards evening out the aquarium water temperature. When water movement is decreased, it is not uncommon for nook and crannies in the tank to become essentially 'dead zones'. Debris will collect in these areas, and over time can even impact beneficial bacterial colonies, not to mention become an eyesore. Directing water flow in these dead areas will move the debris around so it is eventually captured by the filtration system. Last, but certainly not least, water movement is important to many species of fish. In fact, some fish require a current for optimal health. However, the converse is true for some fish. Bettas, for instance, prefer calm water with little movement. Always study the needs of your fish, and increase water movement for only those species that need it. Powerheads are an excellent way to create water movement in specific locations and directions. They are available in a variety of types, from large to small. Small powerheads are great for placing in dead spots where oxygenation is poor and debris tends to collect. Gentle to swift currents can be created with one or more powerheads. Placing a powerhead near the heater will help drive heated water to other parts of the tank. In a tank without sufficient water movement, cool water will remain in the lower regions of the tank, while the warmer water rises to the upper strata. Water movement will ensure that the water temperature in the aquarium is fairly even across all levels within the tank. In large tanks, several powerheads may be utilized to avoid dead spots within the tank that can occur. Even in smaller aquariums, a nano powerhead can serve a beneficial purpose, by keeping the water circulating evenly throughout the tank. Spray bars are a great way to move water at the all-important surface where oxygen exchange occurs. Not only does the spray distribute the filtered water over a wider area, it agitates it, thus increasing the oxygen exchange. Spray bars typically are placed horizontally near the rear of the tank, just below the surface of the water. In some situations, a spray bar may be placed vertically along one side of the tank to produce current throughout the water column. Generally, filters or powerheads that can be used with a spray bar, will include one in the package. However, if one is not included, becomes clogged or worn out, it's fairly easy to create your own DIY spray bar. Simply cut a PVC pipe to the length needed, plug one end with an end cap, and drill small holes along the length of the pipe. Measure the filter or powerhead outlet to get the correct diameter tube, which generally is about three-eighths of an inch. 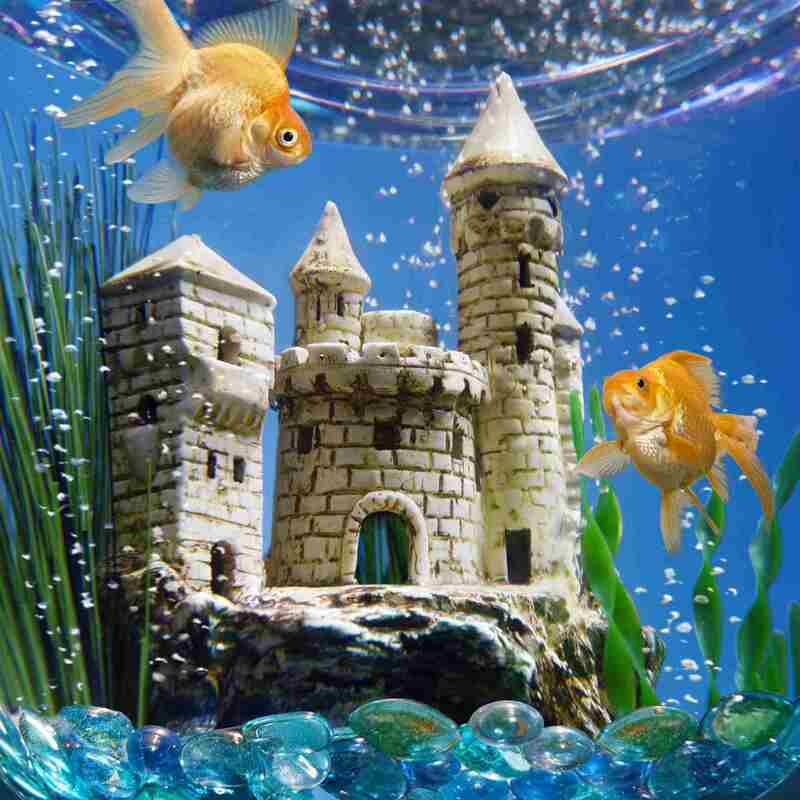 Airstones or bubblers, driven by an air pump, can also increase water movement, as well as add interest to the overall decor of the aquarium. Be aware that the bubbles themselves do not increase the dissolved oxygen in the water. However, the increased movement at the surface, due to bubbles rising through the water column, will improve oxygenation. The movement of the bubbles upward will also help break up thermal layers, thus evening out the water temperature in the aquarium. A variety of attractive bubblers, some that even incorporate special lighting, are available.